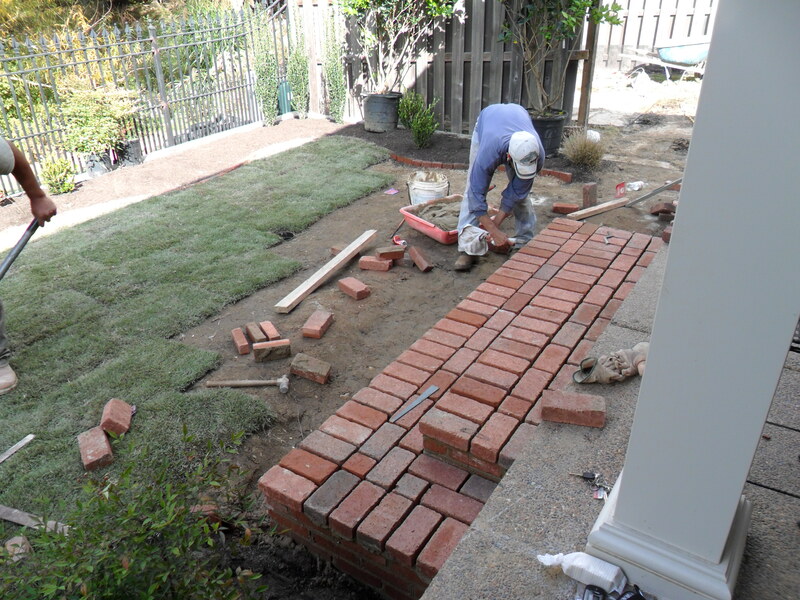 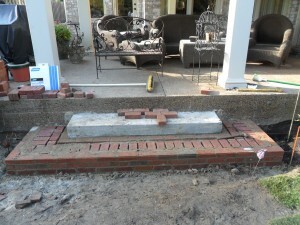 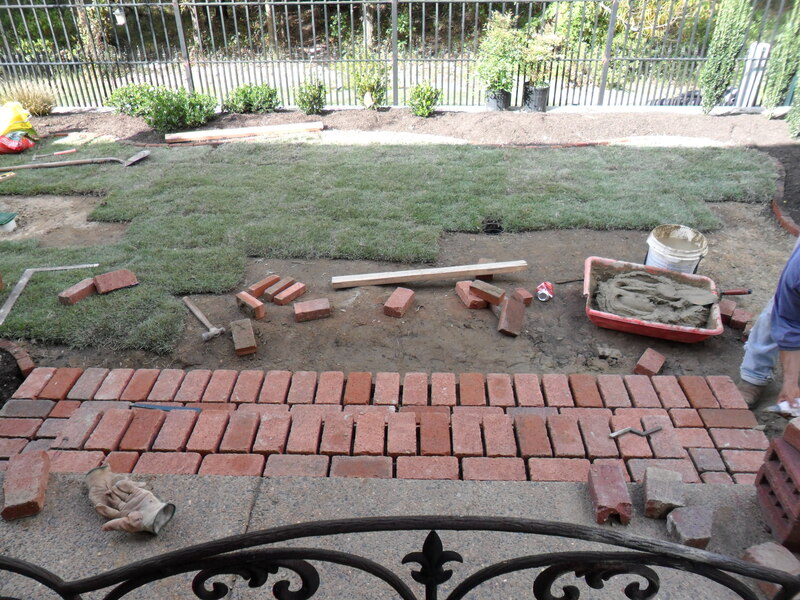 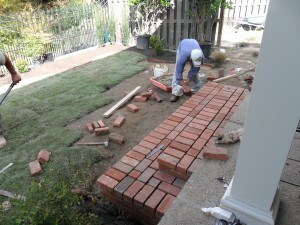 In the final week we see another brick element being constructed. 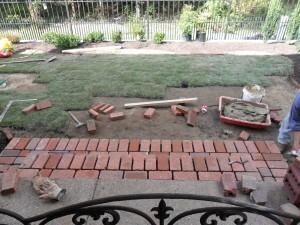 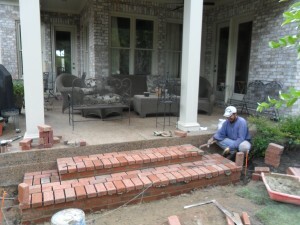 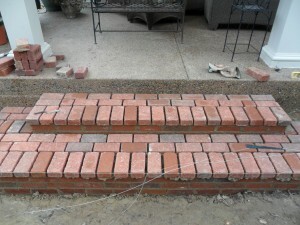 Again out of the same brick paver a set of steps gives us access from the covered back porch directly into the garden. 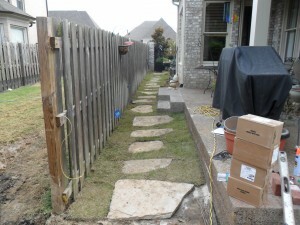 This provides both a functional and asthetic element to the garden. Speaking of access features you will also notice the installation of natural stepping stones that allow circulation from the front to back garden. 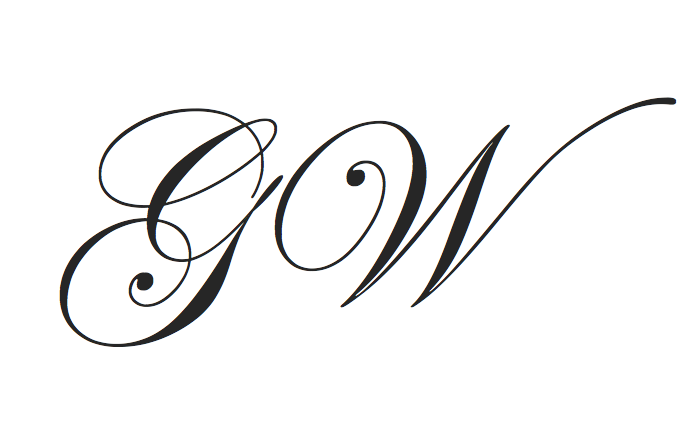 Slate Garden-Week 4<< >>Bloomin' Bash 2018!